Most CRO experimentation tools don’t disclose their pricing information upfront. So … from the time you contact a CRO solution’s sales team to the point when you’re ready to make a purchase, you end up investing between 1–3 months, if you’re a small business, and about 4–6 months, for a mid-market company. Once you purchase, you spend another few weeks learning and implementing the tool, planning and designing your experiments, working on the integrations, and so on. And finally when everything’s set and you’re in your first year or so of building your culture of experimentation, your CRO solution provider decides to focus on enterprise-level accounts alone … and introduces revised “MINIMUM ANNUAL FIVE-FIGURE” contracts. Think VWO, Optimizely … and Maybe AB Tasty? Both these plans also had discounted annual offerings that effectively came to be at $500/mo and $729/mo respectively. But now VWO seems to be pushing annual contracts at $12,500 USD for 100,000 tested visitors/mo (without any monthly payment options). And from what we’ve learned from our leads and other sources, small business website users can be expected to pay about 35% more to continue using all of VWO’s features. Before VWO, it was Optimizely. If you’d recall … early in 2018, Optimizely removed all the pricing information from its website and introduced its new pricing plans. Optimizely decided to go after just the enterprise-level customers with annual contracts starting at a minimum investment of $50,000. Later in 2018, they increased the spend to $100,000. And now the industry is abuzz with speculations that AB Tasty may be the next to revise its plans and introduce much costlier annual contracts between $1700-$2000 per month on annual pricing. Well, AB Tasty’s pricing information no longer on the website. This is almost a *sign* that changes to the plans are on the horizon. Given that budget is the #1 challenge most companies face when it comes to CRO, such price revisions can jeopardize all the years and efforts put into building a company’s CRO infrastructure. Even flexible budgets can’t accommodate them (especially in the case of small and mid-level companies). For most businesses (over 90%), CRO doesn’t have have a dedicated budget. Often, it just gets a mention in the overall marketing plan. Besides, about half of the companies that invest in CRO don’t increase their spend at all. And most of those who do, typically increase it by up to 30%. So, accommodating steep hikes (say, 35%) in a CRO tool is nearly impossible. Non-customer-friendly grandfathering. The new contracts are often offered with discounts that pretty much make no difference. Sadly, customer-friendly grandfathering happens far and far between in the CRO space. For instance, in the case of VWO, we’ve heard that the users on the original plans can upgrade to the new annual plans at a 50% grandfathering discount. But the hike still remains substantial – at least 33% – if users wish to retain access to VWO’s differentiators like heatmaps and session recordings which are now restricted to the CRO platform. Client poaching from agency partners. 35% of the annual revenue of most enterprise CRO platforms can be traced to “services”. These services are offered to customers brought in by loyal agencies. With most contacts already in the system as collaborators, it is very easy for the optimization tool provider to bypass agencies and establish direct service contracts. This has two pronged implications.If you’re an optimization agency, well …. do the math. If you’re a business and your tool has gone Enterprise, expect a lot of cajoling to shift from your tried and tested agencies to services offered by it. Unbelievably limited support and watered-down versions. As a way to enforce upgrades, many such price hikes employ unhealthy tactics like limiting support options or reducing support hours for the users on the original plans. Now, obviously, you can’t use a CRO tool for your growth-critical operations if you get “zero” technical support from the provider. At other times, the current plans are “limited” to a point where they hardly do the needful — leave aside all the shiny stuff.So, it’s basically an “upgrade or go” strategy at work. BUT you don’t have to give in or put your culture of experimentation at stake. With a little rework, you can rebuild your CRO stack. Before we see how to do that, first, steer clear of this workaround. When your CRO experimentation tech suddenly starts costing more, you might feel the urge to pool all your CRO funds to continue your access. This is a bad idea because technology is just one aspect of successful optimization. The other three are process, culture, and expertise. For all round success with CRO, you need to nurture each as not doing so might let you have your current experimentation engine, but you might not be able to use it to its best capabilities. Cutting back your spend on developing your CRO process could result in poorer research, bad test prioritization, and glitchy execution. Investing lesser in culture could leave your team feeling demoralized and might result in lower participation in your experimentation initiatives. And cutting costs on hiring or developing the expertise needed for experimentation could set you back in more ways than you can imagine because CRO needs constant learning. While getting phased out necessitates a CRO rebudgeting, make sure that you don’t keep your favorite testing tool at the expense of the other ingredients of an effective CRO mix. Here are some handy CRO budgeting templates from Formstack (not affiliated to us and optin needed). And you don’t have to compromise, either. There’s a solution out there that’s the right fit and will tick all the boxes. With that tip, let’s look at the five points that will help you choose the best alternative, without hurting your CRO momentum. If you were using an all-in-one CRO solution (such as VWO), make a list of all the features you were using from your tool throughout your process. You might end up discovering that you weren’t actually using the form analysis feature your CRO tool offered. Or that you’ve been using some other heatmap solution anyway. Or maybe that the hypothesis feature of your solution wasn’t offering real value as such … and that you prefered to take care of the hypothesis part of your experiments outside of your all-in-one tool. Don’t be surprised if you find all these to be true in your case because while most all-in-one CRO tools do come with these nice extra somethings, these features are never their focus area, and so they don’t work as well as they should in (most of) such solutions. Of course, the one feature of your CRO tool that you’ll absolutely need is its support for the many different types of tests (such as A/B tests, multivariate tests, multipage tests, etc.) and personalizations. After you’ve figured out the features you need, the next step is to pick the tools that specialize in offering just those. We’ve compiled a list of the best CRO tools here to help you pick the right ones for each stage of your process. For instance, you could pick Convert Experiments for taking care of the experiments part. Convert outperforms both Optimizely and VWO as an A/B testing solution on G2 Crowd. Or maybe one of the other alternatives. You could explore Hotjar (not affiliated to us) for heatmaps and other behavioral data research … And maybe Formstack for form analysis. So, before committing to a CRO solution, learn as much as you can about their pricing policies. Look at their pricing pages or rate cards and talk to their sales representatives. Find out if they have a history of frequently changing their pricing plans. Visit websites like Quora to find first-hand accounts of people who have experienced any such price hikes with them. You should also talk to a bunch of competing solutions as well as usually they have a lot of “insider” information on the pricing strategies of all the key players. Consider consulting a few CRO consultants or agencies, too, as they serve multiple customers and stay on top of such developments. Do they grandfather the current users at the original plans they signed up for? Or, do they force upgrades? For example, at Convert Experiences, we’ve never forced upgrades. And we proudly support even the earliest of our users who still work with our tool at our launch prices. And yes, the support standards and responsiveness are the same for all. No matter how rushed you feel into getting the right alternative, spend time to investigate the GDPR-compliance status of the vendors you consider. Not all CRO tools are GDPR-compliant. AB Tasty: So, it looks like AB Tasty’s GDPR compliance is still some work-in-progress. AB Tasty has published its GDPR compliance plan where it shares its progress toward becoming GDPR-compliant. Omniconvert: Seems like Omniconvert, too, is working toward becoming GDPR-compliant. It’s GDPR roadmap shows how it’s progressing toward compliance. Convert Experiences: Our CRO solution, Convert Experiences, is 100% GDPR-ready. Here’s how we accomplished our full GDPR-compliance. And this is the thorough Legitimate Interests Assessment we conducted. Also, all our users can request a signed copy of our Data Processing Agreement (DPA). At Convert, we default to privacy-focused product practices. We bucket visitor data in large groups and make it impossible to trace any data back to one individual since we don’t store individual records anymore. And we’re also the only enterprise-ready solution that doesn’t store any personal data in the default settings. Integration-friendliness varies greatly in the CRO-space. And because an experiments tool needs to work with tens of other CRO tools, integrations become important when choosing a CRO solution. Is the tool integration-friendly? Before shortlisting any CRO vendor, look at their integrations page and see how many integrations they support. And if they cover all the tools from your marketing stack. Are all the integrations offered in all the plans? Here, you need to find out if certain integrations are “premium” and are only available in certain (read the highest-tier) plans. For example, Optimizely’s integration with WordPress is only available in its Professional plans and not in its standard plan. In contrast, at Convert Experiences, we unlock our growing number of integrations ( about 70+) in ALL our plans. Do integrations happen via a service like Zapier? If your CRO tool’s integrations with the rest of your CRO tools happen via Zapier, your integration costs can pile up quickly. Prefer going with a solution that offers right off-the-shelf integrations. For instance, a lot of Omniconvert’s integrations happen via Zapier. Convert Experiences, on the other hand, offers all these integrations directly. When it comes to choosing a CRO solution, never compromise on the quality of support. Experimentation is a complex and technical process, and slow and unresponsive support can set you back by days and your testing cycle could also go waste as a result. So, always opt for responsiveness. Just like pricing policies, support policies are also another area where CRO tool providers differ greatly. Omniconvert, on the other hand, states that it offers “Professional Support” with a 4h response time. In fact, our response rates are 4X faster than the other tools in our space. Our NPS score, too, hovers at 90. To learn more about the support quality of the vendors you consider, go to websites like G2 Crowd, Capterra, and TrustRadius, and sort the reviews by the customer support criteria. Finally, after you’ve shortlisted your top options to replace your current solution, try and see if you can work with a socially-responsible business. 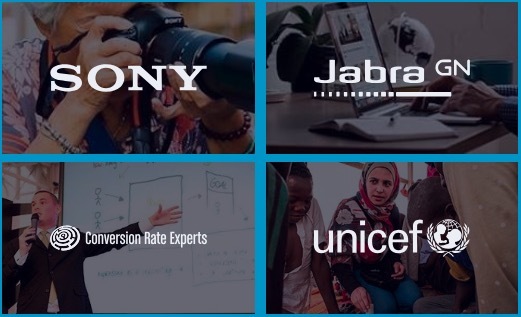 At Convert Experiences, for example, because we’re a conscious business, we always try to partner with solution providers who believe in contributing toward building a better world. It’s just plain nice to associate with a business that’s trying to do good. So that’s it — just use the pointers from above and you’ll end up picking a great CRO solution to replace your current subscription, without compromising on the quality of your experiments. And if you’d like to learn more about Convert Experiences and the different tests and personalizations we support, send us your queries via this form and we’ll be in touch. What else would you evaluate if a price hike forced you to switch to some other CRO solution provider? Tell us in the comments! Yes. I love to stay informed. By signing up you consent to receive the comparison spreadsheet delivered in an email.